When Monster Hunter 4 Ultimate shipped its first million copies in the U.S. Capcom offered a free theme in commemoration. 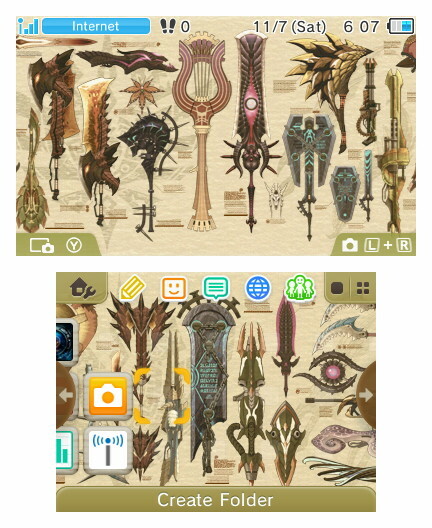 From May, until June 30 gamers could download the "Hunter's Weapon Gallery" theme for their 3DS. 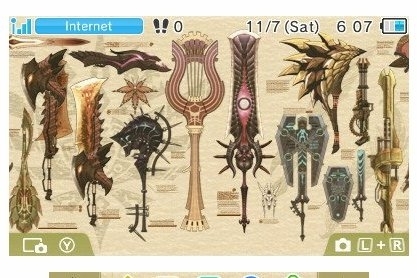 The theme, which shows a collage of the various weapons in the game, has since been absent. Well, you can get it again now by just going to the game-specific theme category and downloading it. It's the perfect way to show your love for Monster Hunter 4 Ultimate!